Wang Rui, a bookseller from Tangshan in northern China’s Hebei province, arrived at Beijing’s No. 301 Hospital armed with a dictionary-sized stack of medical test results. The hospital in the capital was a last resort for Wang, who had already endured months of pain and weeks of unsuccessful treatment for a mystery illness. It all began in November 2017. Wang, 36 at the time, said she suddenly began feeling lightheaded and experiencing double vision. One night, she woke up feeling nauseous and vomited copiously. That was when the headache began. The pain was on the right side of her head, but was accompanied by strange symptoms that affected the other side of her body. She was no longer able to see out of her left eye, and lost control of her left hand. 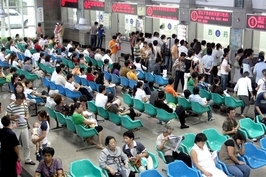 Wang immediately sought treatment at a local hospital. The doctors there diagnosed her with a large brain hemorrhage. 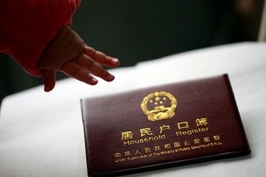 But a doctor at another Hebei hospital, whom Wang had approached for a second opinion, found the diagnosis suspicious. She went through a battery of tests over the course of half a month. At one point, the entire left side of Wang’s body became paralyzed. An emergency infusion of drugs commonly used to treat brain hemorrhages appeared to help return some function, but doctors remained stumped. Her other symptoms weren’t responding to the treatment, and the tests were inconclusive. Finally, the Hebei doctors suggested that Wang seek better treatment in Beijing. At the Beijing No. 301 Hospital, Wang finally received a diagnosis, thanks to the angiography machine at the hospital — something that the hospital in Hebei wasn’t equipped with. Wang had moyamoya disease, the Beijing doctors said. She had never heard the term before. Moyamoya, as Wang learned, is a rare disease that causes arteries in the brain to become blocked, and can cause strokes and paralysis. Its name means “hazy” or “smoky” in Japanese — the disease is characterized by formations of smaller blood vessels around the blocked artery that look like a puff of smoke. Moyamoya, first diagnosed in Japan in the 1950s, disproportionately affects people of East Asian descent, according to the U.S. National Institute of Neurological Disorders and Stroke. Six out of every 100,000 people in Japan have the disease, a hospital survey carried out there in 2004 estimated. Studies outside East Asia are rare but one published in 2005 estimated Asian Americans had an incidence of moyamoya about 3.3 times higher than the general U.S. population. While little national data is available for China, Wang is one of 6,000 people there known to be suffering from moyamoya. 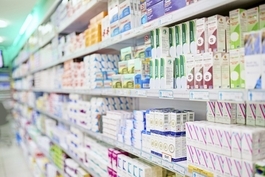 On average, it takes a long time — around two and a half years — for patients to receive an accurate diagnosis, and usually only after transferring between multiple hospitals. Part of the problem is a lack of diagnostic equipment. 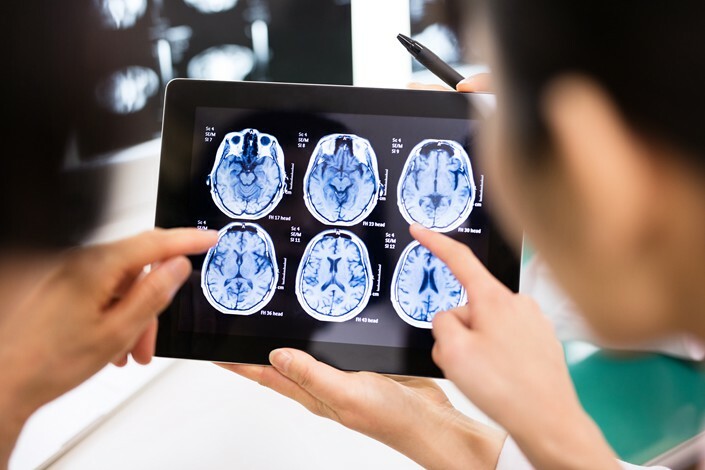 Only 8.6% of hospitals in China have the equipment needed to detect moyamoya disease, with three angiography machines — a special type of X-ray — per million people. That’s a far cry from the United States’ 32 per million people. This equipment is mostly concentrated in a few large Chinese cities, making it difficult for many patients to receive a diagnosis. But even in Beijing’s best hospitals, the rarity of the disease and a lack of knowledge among doctors often delay diagnosis and treatment, especially since moyamoya’s symptoms often mimic those of other brain disorders. 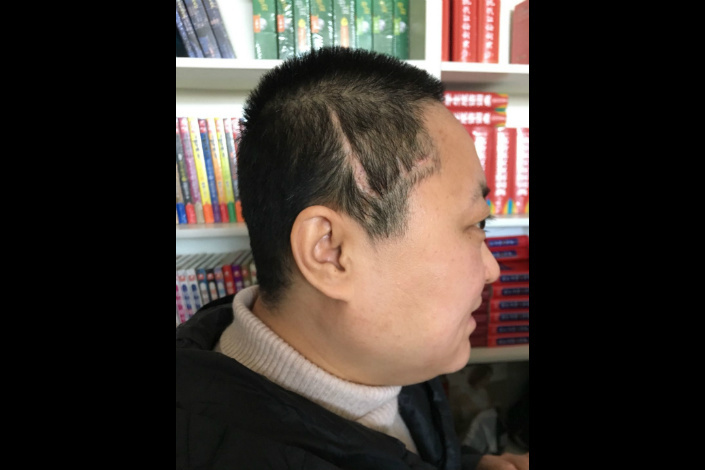 Zhao Xiaoyan, another moyamoya patient, was a college student in Beijing when she first started getting severe headaches in 2016. She initially went to the campus clinic, where she asked if she might have meningitis — the only brain-related illness she was aware of. Campus doctors laughed at her query, and told her she was simply stressed out by her studies, Zhao said. Then, around 10 months after the headaches began, she fainted at the door of her dormitory building. Alarmed, Zhao made an appointment for a CT scan at Peking University No. 3 Hospital. A doctor at the hospital attributed Zhao’s fainting to anemia. But, by the time Zhao fainted again on the subway in 2018, she was experiencing other symptoms, including numbness in her hands. Zhao returned to the same to the same hospital. This time, the “cloud” of small vessels in her brain had become so big that it was visible in an ultrasound, even without an angiogram. Zhao decided to undergo surgery at the Beijing Tiantan Hospital Neurosurgery Center — the country’s top neurology facility. The most common treatment for moyamoya is revascularization surgery to redirect the brain’s blood supply through alternative blood vessels. With timely treatment, 90% of patients see improvement in their symptoms after surgery, according to Dr. Jin Yongjian, a neurosurgeon at No. 307 Hospital of the People’s Liberation Army. Wang, who also underwent revascularization surgery, said she was able to return to her normal lifestyle, although she will likely never regain vision in her left eye. She has now developed a habit of touching the long scar on the right side of her head, which is visible under her close-cropped hair. She said that feeling the pulse in the blood vessels under the scar puts her at ease, and that she has no plans to grow her hair out again, even though she once took pride in her long hair.